This has been one crazy summer filled with test security breaches for the College Board and the ACT, Inc. Entire countries have seen their test scores cancelled due to security breaches. Reuters has been at the front of this story, investigating breaches across multiple continents, including a pervasive cheating scandal carried out by a subsidiary of the ACT. The greatest flaw in the system lies in the re-use of tests across time zones and across the calendar year. I spoke with one of the lead reporters from Reuters who was interested in one of my old blog posts recounting the time I was administered the exact same ACT on two separate occasions at two distinct locations. I initially took the test at a high school in Regina, Saskatchewan; a year later, I took the same test in my usual testing ground at Georgia State University. I personally did not benefit from taking the same ACT twice, with a year’s gap between administrations, because I was never able to analyze the test and learn from my mistakes. Any familiarity with the content was wiped out with time. As tests are never returned until they are officially retired from circulation, there is no way to get corrective feedback on the tests. Although I didn’t benefit from the prior exposure, others work the system and derive incredible benefit, going into the test knowing exactly which test form will be administered, with all of the answers memorized in advance. The reuse of paper tests is a major liability. But the development of a single ACT or SAT test can cost between $500,000 and $1,000,000. Standardizing a national test is no small feat. Ensuring that the test is fair, balanced, and valid takes time and resources. It is no surprise that the College Board and ACT, Inc. want to reuse their tests and derive more value from their investments. 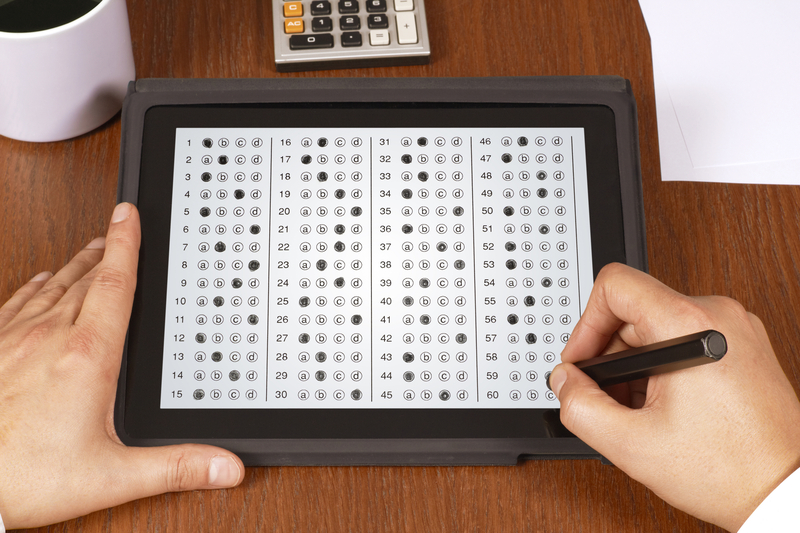 With the most recent scandals that have rocked Hong Kong, South Korea, and China, the end of paper testing is drawing ever closer. Paper tests are liabilities. With so much riding on the outcomes of the tests, and such an incentive to cheat, we can guarantee that cheating attempts will grow more sophisticated and nuanced. The only defense against this is to abandon the practice of reusing tests. Each time zone must have its own test. And the only way to affordably manage this is to use computer-based testing. Starting in the fall of 2017, the ACT has announced that it is moving exclusively to a Computer Adaptive Digital testing model for overseas testers. This will help eliminate the issue of time zone-based cheating, and the pre-release of testing materials. Computer adaptive tests, with a broad problem bank, enhanced by artificial intelligence and machine learning problem generators, will eventually create so many problems and possible test pathways that no human could memorize them all. This practice, beginning overseas, will eventually migrate to the US. Computer Adaptive testing has many advantages in terms of security as well as in economy. Computer Adaptive Tests, using the method of Item Response Theory, can ascertain an accurate test score more quickly and efficiently than paper-based tests. The digital tests of the future will be less susceptible to cheating, and able to determine a student’s test score in less time. These merits alone will make digital testing a standard in years to come.